My breastfeeding story with C is not a successful one. He was born 7 weeks early as I developed pre-eclampsia. He was taken straight to NICU and as I was so ill, I didn't get to go see him for 2 days. In those two days, I expressed but I wasn't able to produce very much. His little tummy could only tolerate 1ml of milk per feed so I wasn't too worried. When he started needing more and I couldn't give him enough, that's when I broke down in tears to the NICU staff. They reassured me that C was happy being topped up with formula and that I shouldn't worry myself as I was still so ill myself. So I gave up. And I really regret that. Now that I am expecting baby number two, I'm so determined to successfully breastfeed this time round. 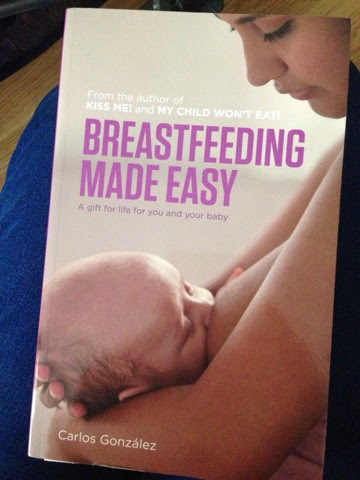 I recently received the book 'Breastfeeding Made Easy' by Carlos Gonzalez. I was hoping that it would give me an insight and some background information as I didn't do any research when I was pregnant with C.
This book touched on a lot of things that I found myself wondering last time round. I know I didn't ask for enough help and I let the nurses tell me that he was fine on formula. I should have pushed myself. It even made me realise things that I never even thought about such as how to introduce other foods. 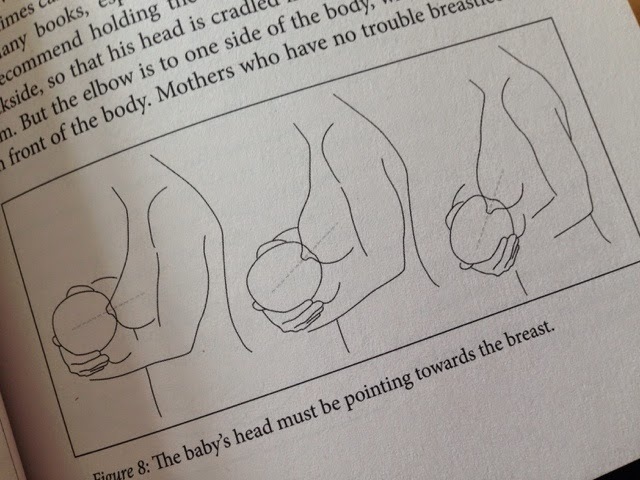 I was so focused on how to breastfeed a little newborn. The way that Gonzalez writes is really friendly, warm and inviting. He does go off on tangents when telling stories but they are all relevant and I never lost interest. It doesn't read as clinically as some other articles that I've read and there are lots of helpful diagrams of what is right and wrong. 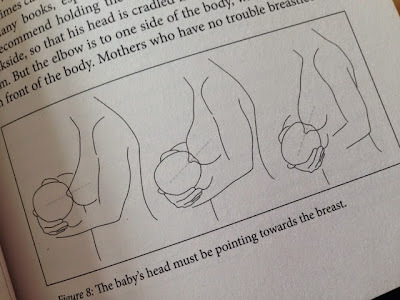 I found myself reading snippets out to Chris and showing him the diagrams and I've even suggested that he read it too because I want him to be my main support on my breastfeeding journey. I'd love for him to know as much as possible and therefore if I get stressed out or forget something, he'll know how to fix things. I truly feel as though all of the questions that I had rushing around my brain have been answered fully and I do feel very prepared this time round. I would definitely recommend this book to any expectant mother who is interested in breastfeeding - it will do wonders! I'd even go as far as to say it is an essential read. You can purchase your own copy at Pinter & Martin direct at a reduced price of £9.59 (usually £11.99).